Growing up in the citrus belt of Florida, I always enjoyed this time of year. Often when the last of the fruit was being harvested, there would be orange trees blooming at the same time. The air was filled with the smell of citrus being processed and also the super-sweet smell of orange blossoms. The trees in my neighborhood that were cared for had a bounty of good fruit, better than anything you could find in a store. The ones that were neglected often had fruit that was malformed, or would just rot on the branch. 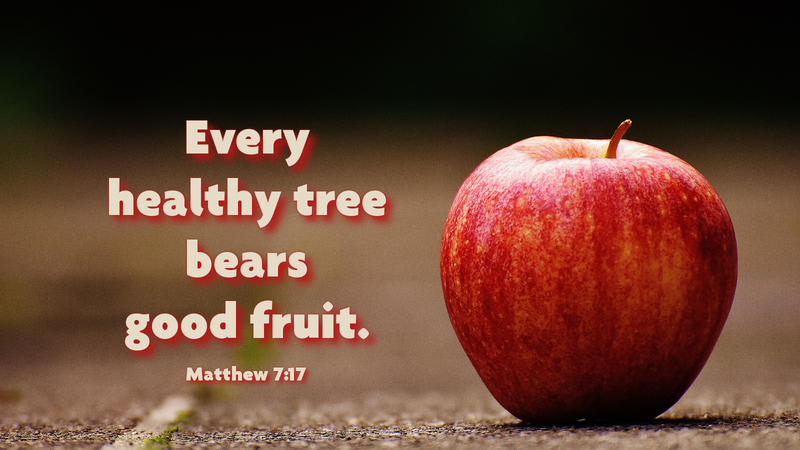 When we read this passage from Matthew’s gospel, we have a good example about spiritual “good fruit” and “bad fruit.” If you tend to your spiritual health — reading scripture, praying earnestly, serving in Christ’s name, and caring for God’s people, you can bear the kind of spiritual fruit that lasts and strengthens your faith. The fruit of the Spirit as Paul describes it in his letter to the Galatians is “love, joy, peace, patience, kindness, goodness, faithfulness, gentleness, self-control,” (Gal 5:22) and there are no laws or rules that will negate this kind of good fruit. It is time that we nurture our spirituality. Prayer: Father, prune me, water me, nurture me, so that I may bear good fruit in your kingdom In Jesus’ name. Amen. Mark, why are we no longer able to access the link in the daily devotions and go directly to those Bible passages listed? Is this something that will be changed back in the future? The program we used before does not work well on the new site. After reviewing all of the available programs, I settled on the one you find working here now. It has the added benefit that you can create a free account with Biblia (Crossway) and be able have a commentary show up next to the Scripture. I hope this helps you.